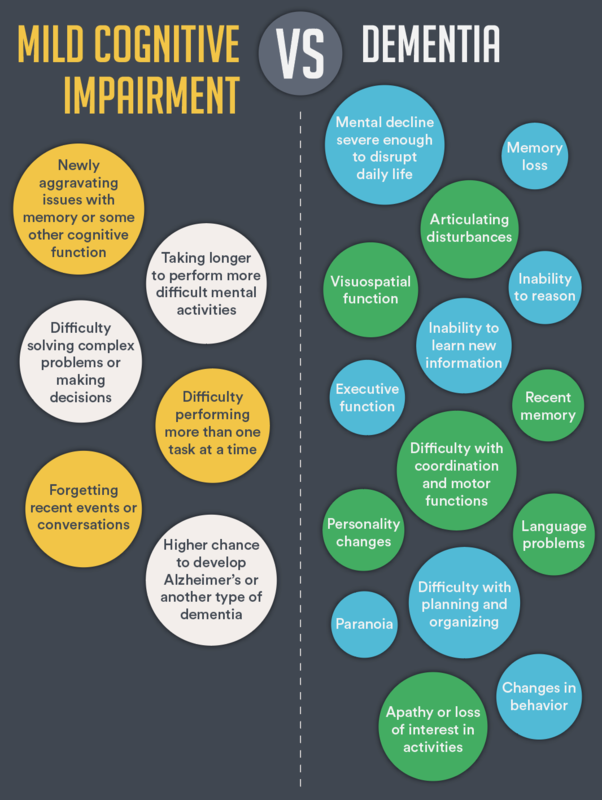 Mild Cognitive Impairment (MCI) is a condition best defined as the intermediate stage between normal age-related cognitive impairment and the more severe decline in Alzheimer’s disease or another type of dementia. This intermediate phase is elusive and slow, with the person’s first emerging signs of mental disorder barely discernable. It is akin to a battery that loses its power in an unhurried and drawn-out period in between natural aging and the gradual dimming of significant cognitive faculties. 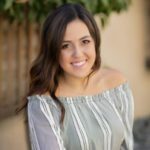 There is some loss of memory in this “pre-symptomatic” phase, as well as a slight diminishing of language and judgment abilities, though not sufficient to interfere with normal social functioning, or with the person’s independence and skills in performing activities of daily living (ADLs). Another name given to this phase is “pre-clinical”, and although it is often a precursor to Alzheimer’s or other type of dementia disorder, it does not necessarily lead to further neurological decline. In fact, people with MCI may have the condition for years without getting worse, and some may fully recover. Naturally, these statements depend to a large degree on the person’s coexisting health problems and other disorders. With advancing age, the brain sustains wear and tear as well as oxidative stress, which results from the effect of “free radicals” or oxidants over time. Typically, we may start forgetting names or recent events, though this forgetfulness is hardly more than a nuisance. There may come a point however when some people experience more than simple forgetfulness. They may forget things more often, even appointments or important commitments they made, or they may lose the ability to focus on any task on hand, their thought processes easily distracted. These could be early signs of mild cognitive impairment, and family and friends may start to notice these changes. In addition, many people with MCI get easily overwhelmed by chores or tasks that had previously not caused any concern. Planning a multi-step activity also becomes too strenuous, and they may even experience difficulties finding their way around familiar grounds. Judgment may also be impaired, causing embarrassment, frustration and a loss of self-confidence, which at times can lead to irritability, withdrawal and depression. People with MCI have a heightened risk of developing dementia. For the population as a whole, up to 2% of older adults develop dementia every year. Among older adults with mild cognitive impairment, however, research studies have indicated that up to 15% develop dementia every year. As such, MCI is considered as a prime dementia risk factor. Age, lifestyles and genetics all seem to be risk factors for developing MCI, with a person’s genes perhaps being the most prominent among those. While not much can be done about advancing age and genes, individuals can alter their lifestyle to reduce their risk, for example by staying mentally and physically active, not smoking or eating an unhealthy diet, and managing or treating depression. Sleep apnea, or sleep-disordered breathing (SDB), is also under consideration as potential risk factor. It is thought that the interruption in breathing patterns during sleep may reduce blood oxygen levels and create risk factors for cognitive decline, much like they do in causing daytime sluggishness and heightened risk of vascular complications. Mental acuity and stimulation at an early age, such as advancing from high school to college, are known to reduce the risk of cognitive decline as we age. Similarly, some mentally demanding careers, such as accounting or engineering, can also produce the same effect of reducing or delaying the risk of cognitive decline with older age. In terms of the biology, current evidence suggests that MCI is characterized by the same types of brain changes seen in Alzheimer’s disease or other forms of dementia. These changes have been identified in autopsy studies and include abnormal clumps of plaques and tangles in the brain typical of Alzheimer’s disease, Lewy bodies such as those seen in LBD, or small strokes and reduced blood flow through blood vessels in the brain. 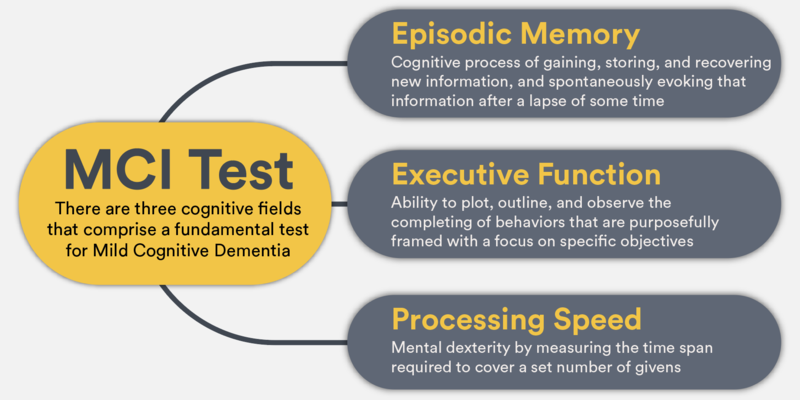 Mild Cognitive Impairment may be assessed in individuals as young as 50, yet people in the 50 to 70 range are often averse to subjecting themselves to tests about “a little forgetfulness”. These concerns are more apt to be shared not so much with family physicians, but with friends and family members, and that is where the process commonly stops. This is a considerable impediment to individuals finding out if they have developed MCI. 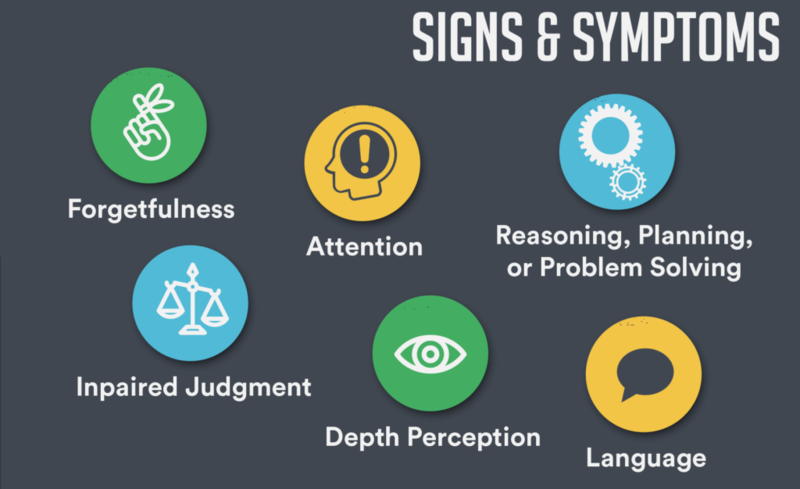 For those who are more open-minded and willing to undergo tests, licensed specialists in the field of psychometric assessments have been around for many years. Episodic memory: This involves the cognitive process of gaining, storing, and recovering new information, and spontaneously evoking that information after a lapse of some time. It can be of the verbal type, as in remembering the details of last night’s dinner, or nonverbal, as in visualizing a past experience or scenes from a movie watched a few days earlier. Delayed recall memory is thus a subtle test for early Alzheimer’s. The first findings can then be followed by other assessments that fully engage the person’s concentration, thus moving from spontaneity to focused attention. Executive function: This reflects on the ability to plot, outline, and observe the completing of behaviors that are purposefully framed with a focus on specific objectives. Executive function also includes a sign coordinating test which necessitates decision-making in selecting the right answer in a more multifaceted way than tests that measures speed. Processing speed: This reflects on mental dexterity by measuring the time span required to cover a set number of givens. The most significant influence on speed tests have been shaped by Timothy Salthouse, PhD and Professor of Psychology at the University of Virginia, who produced a simple “paper and pencil” test in which participants are asked to process 20 questions as quickly as they can. The results of Salthouse’s test can then be computerized to promptly derive results. 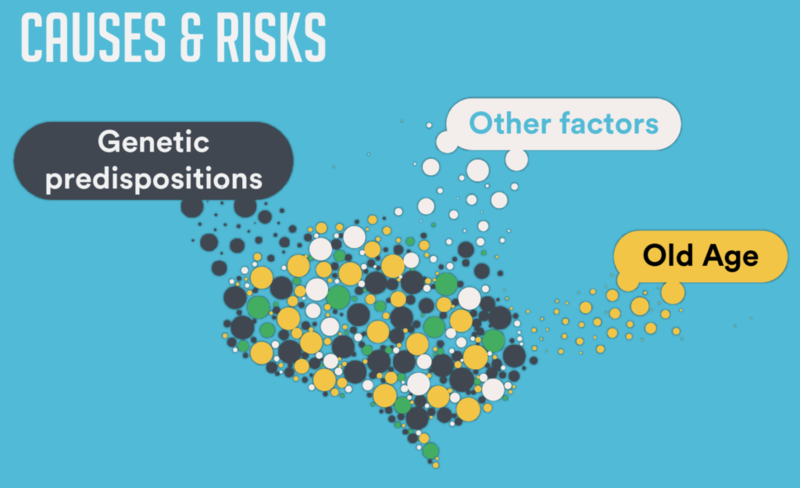 Are there risk scales that identifies normal aging vs. MCI? Mild Cognitive Impairment (MCI) can be viewed as an intermediary stage between normal age-related memory loss and dementia. The term MCI is often used when memory/cognitive changes become frequent or surpass what is expected at a certain age. Some symptoms of MCI include: difficulty performing more than one task at a time, forgetting recent events or conversations, difficulty solving complex problems or making decisions, and taking longer to perform more difficult mental activities. How can I or my family tell if MCI is becoming Alzheimer’s disease? There is definitely a blurry line between the diagnosis of MCI and early Alzheimer’s. Not all patients with MCI progress to Alzheimer’s, but almost all cases of Alzheimer’s begin with MCI. 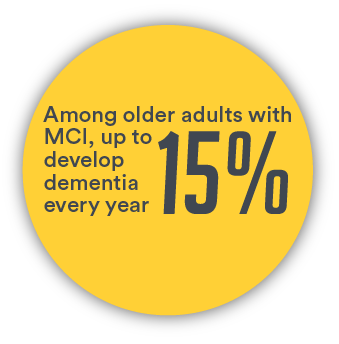 MCI is a broad category that can apply to patients with Alzhiemer’s, but also patients with other forms of dementia (like vascular dementia). The guidelines for MCI diagnosis that have been adopted by the Alzheimer’s Association and the National Institute on Aging include “independent functioning” as a criteria. I will make a quick comparison of MCI symptoms and Alzheimer’s symptoms for reference. People with MCI symptoms hold onto almost normal general cognitive function, near normal activities of daily living, little or no change in personality, are memory impaired for similar age, and the disease may not progress. People with Alzheimer’s, however, have impairment in cognitive functions, impairment in normal activities of daily living, face personality changes, are memory/judgement impaired, and face a progressive loss of function. Are there questionaires I can take to measure MCI for my loved one? The most common questionnaire used to gage mental status or memory loss is the “MMSE” or the Mini Mental State Examination. It is used by clinicians in response to complaints with memory problems or other cognitive abilities. The exam tests multiple cognitive capabilities, including memory, attention, and language. If you feel like you may have some MCI or dementia symptoms, talk to your clinician about taking an exam. When a methodical assessment of this type doesn’t yield a clear outcome, the physician may recommend neuropsychological testing, as described in the above section. We first need to differentiate between normal aging and mild cognitive impairment. We’re all acquainted with what happens to us as we age: although our intelligence remains constant, our brain and body slow down, and we take additional time to sort things out, and the names of people and places don’t come to us as easily as before. In mild cognitive impairment, we start having newly aggravating issues with memory or some other cognitive function. Although not serious enough to significantly hamper our performance in our day to day life, the issues become noticeable to the people around us. But the worst part is that not all, but many people with MCI are prone to go on to develop Alzheimer’s or another type of dementia, such as Lewy Body, vascular, or another. Dementia is an umbrella term that includes several different diseases characterized by progressive brain decline. Symptoms of dementia commonly involve cognitive decline severe enough to disrupt daily life. High on the list of such symptoms are impairments in short term memory, language and articulation, visuospatial function, and executive function, i.e. the ability to plan and execute on complicated matters. 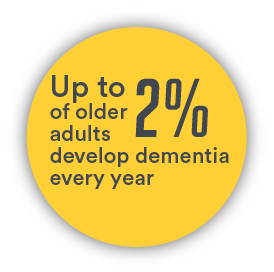 They key difference between dementia and MCI is that with dementia, there are major disruptions in the ability to carry out daily activities, and individuals with dementia cannot be as independent. People suffering from MCI, however, often recognize they are having difficulties but are still able to carry on most of their usual activities and continue living independently. There is currently no specific treatment for mild cognitive impairment. With currently attempts to find more effective pharmaceutical drugs and better therapeutic interventions for Alzheimer’s disease, the results from such efforts may provide hope for individuals with mild cognitive impairment. Once the scientific evidence points to positive outcomes from such efforts, the significance of diagnosing MCI and recognizing it early in its progression will acquire new urgency. It is also important to recognize that many drugs currently in use can have negative side effects on memory and other cognitive function. These drugs include Valium, Ativan, and over-the-counter drugs like Tylenol PM, Advil PM, and others taken by many older adults. Some doctors will recommend medications prescribed for early-stage Alzhiemer’s disease to help with some cognitive abilities in MCI, but research on the benefits has been inconclusive. Positive lifestyle changes are also encouraged, such as keeping the mind and body active. One research study, for example, found that walking 5 to 6 miles per week can help maintain cognitive functioning and potentially delay the progression of MCI. At 70, and living in the dainty city of Bennington, Vermont, Brenda L. had the beginnings of old age issues. She at times grappled with trying to remember the first or last names of even some of her accustomed television newscasters and, when speaking, she would get stuck with recalling just the word her mind sought for what she was saying. Those, one might say, were minor issues that would at worst cause her a little frustration and realistic recognition that she was getting on in age. But it wasn’t all that harmless, for Brenda was experiencing precisely the same type of forgetfulness that her husband Jerry exhibited going back some ten years. Eventually, Brenda had to give up her job and become Jerry’s full-time caregiver. Jerry had been a brilliant mechanical engineer and inventor. By the time he was in his 60s, he headed the new product division of a Fortune 500 auto parts company. He had been instrumental in obtaining sixty different patents for his employer. He got up one day to give a talk to some 50 employees from other divisions of the company only to draw a complete blank, forcing him to read from quickly jotted notes. He had relied entirely on winging the speech, as he’d done successfully on prior occasions. “A senior moment” Brenda thought, although Jerry admitted to great embarrassment during the event. “It’s just your aging brain, darling,” she told her husband, with a wink and a smile. They were both reasonably confident individuals, and this would soon be forgotten. But it wasn’t. As the months rolled by, his memory declined rapidly, and Jerry started talking incoherently, stopping for long pauses as he raked his brain for the right words that just simply wouldn’t materialize. His general practitioner knew little about cognitive decline, but he knew enough to urge Brenda and Jerry to seek help from a dementia specialist, which they did. After conducting some tests of Jerry’s memory at his office, the specialist ordered brain imaging and more tests. Sure enough, the diagnosis came back of mild cognitive impairment. “We cannot be certain,” the doctor told Brenda, “but that is my judgment, based on having seen those symptoms and tests in other patients.” After prodding him for a prognosis, he admitted that Jerry was at high risk for developing Alzheimer’s. Four years later, Jerry’s cognitive function had declined to the point where he seemed to recognize Brenda no longer as his lifetime partner, but as a kind and familiar face. All this unfolded as Brenda herself was going through episodes of forgetfulness that reminded her painfully of how Jerry’s weakening mental faculties had developed at the beginning. Was she destined for Alzheimer’s too? Who would look after Jerry? Who would look after both of them, if that became her predicament as well? And how long could she keep Jerry at home, if and when she herself embarked on the downhill path to dementia? These are tough questions with no redeeming resolutions. Transitioning from old age to mild cognitive impairment phases raises fears of immeasurable proportions, particularly for people who have had first hand experiences with a loved one with dementia. Mild cognitive impairment can be extremely frustrating, but there are ways individuals with MCI can compensate for their difficulties. For example, if you have MCI, be patient with yourself and slow things down. Try to find constructive outlets through which you can channel your frustration, such as exercise, social interactions, or support groups. Ask your doctor for an exercise program they’d recommend to meet your needs. There are also many steps you can take and tools you can use to help support your memory. For example, you can use visible reminders like writing notes to yourself, using a detailed calendar, and setting your alarm for important events. There are also items that can be useful to have, such as automatic dispensing pill boxes so that you can easily keep track of your medications. Most importantly, try to focus on the abilities you do have, instead of dwelling on the abilities that have declined and worrying about the future. There are many ways to continue to be active and productive with MCI.